Offer clients account visibility anytime, anywhere. The Bill4Time Client Portal is your client's online gateway to your business. 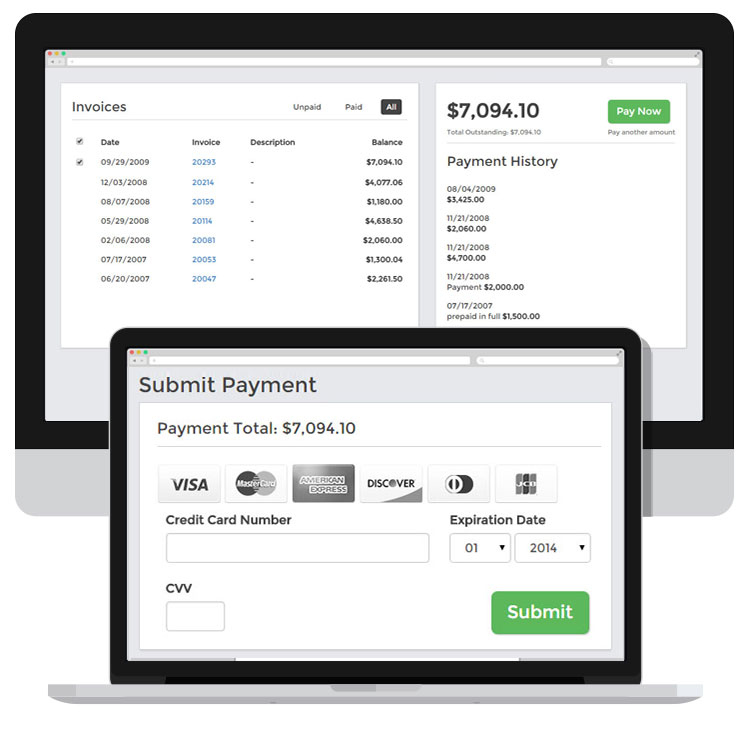 Your clients can view invoices, outstanding balances and payment history. Secure online payment options affords clients the ability to make partial or full payments using any credit card or PayPal  from anywhere, anytime on any device. Offer clients anytime access to their account. Provide visibility to billing, invoicing and payment status. Provide clients the convenience of making payments via credit card, PayPal or Stripe using a desktop or mobile device. Businesses offering online payment options get paid 30% faster when compared to traditional methods. Customize your client portal and payment gateway with your company logo.